In the eye of the beholder. Turkmenistan’s authoritarian president, Gurbanguly Berdymuhamedov. Photo CC-by-2.0: Thierry Ehrmann / Flickr. Some rights reserved. This article by Atadzhan Nepesov* originally appeared in Russian at Fergana News, a leading source of information on Central Asia. We are grateful for their permission to translate and republish it here. In Turkmenistan’s capital of Ashgabat, a state campaign to dismantle satellite dishes atop multi-storey apartment blocks is coming to end. Nevertheless, the “plates”, as Turkmen fondly call them, remain popular across the rest of the country. In provincial cities and towns, even in the auls, tiny clay-brick settlements lost among the sand dunes of the Kara Kum desert, families keep one or two antennae primed at communication satellites Yamal-401 and Hot Bird. Despite barely understanding a word of any foreign language, these viewers eagerly tune in to Chinese, European, Russian, Uzbek and Turkish television channels. In fact, it seems like Turkmen viewers will consume anything, from football matches to entire drama series, before watching local TV. Turkmen journalist Atadzhan Nepesov decided to spend an entire day watching programmes on Turkmenistan’s seven television channels, in a brave attempt to find out why. According to Reporters without Borders, Turkmenistan is an information “black hole.” One of the most repressive regimes in Central Asia, if not the world, Turkmenistan ranks 178th of 180 countries in RSF’s 2017 World Press Freedom Index – alongside Eritrea and North Korea. With this in mind, it’s no surprise that, if you fancy yourself a discerning viewer and see television as a source of knowledge, then Turkmenistan’s TV channels are unlikely to satisfy you. For example, the news programme “The Planet’s Echo” only tells you about those world events which are impossible for the government to hide — selected clips taken from foreign news programmes, which are all positive. Other news programmes keep you updated about internal developments in Turkmenistan. They sing from the same hymn sheet, keep the same old hallmarks and the same irritating intonation. Even when reeling off dry statistics, newsreaders seem to suffocate from sheer delight. Again, there’s nothing new of substance — practically the same information as yesterday and the day or even month before that. And on it goes from six in the morning to midnight, until rounding off the day with the programme “Watan” [Turkmen: “homeland”], which is broadcast simultaneously on three channels. Daily updates on your president. 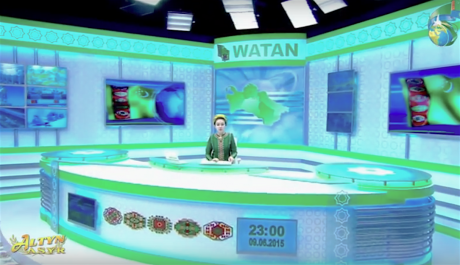 Watan news, on the Altyn Asyr TV channel. Image still via Homunkulus / YouTube. Some rights reserved. An acquaintance of mine was recently in Ashgabat to attend an international exhibition, and shared his impressions upon returning. “We spent our free evenings in the hotel, as the organisers of our trip recommended against going out into the city by ourselves. Out of boredom, I switched on the TV in my hotel room a few times. I couldn’t really judge the local programmes, as I don’t speak Turkmen. But I noticed that everything seemed staged; too orderly, lacking feeling. Turkmenistan’s ethnic Uzbeks, who live along the border with northern neighbour Uzbekistan, have a particularly interesting approach to the problem of poor TV. Following the death of the last president Saparmurat Niyazov in 2006, the’ve barely given Ashgabat a moment’s notice. Back then, they started to set up rudimentary satellite dishes and aerials on aluminium tubes, directed towards Tashkent, Urgench, Bukhara or Nukus, cities in Uzbekistan. They’ve been hooked on Uzbek TV ever since. “Ata Agha [ed. Turkmen term of respect], why do you walk around in such crumpled trousers and such a creased shirt? “Ah, that’s because I’m afraid of switching on the iron” he replies. The joke is still relevant; only the president has changed. Indeed, it’s strange that Turkmen television hasn’t yet been renamed to “Arkadag TV” — as it’s not only dedicated to the current president who’s referred to by that title [ed. meaning “protector” in Turkmen], but to all the events in the country — events which the media always find a way of connecting exclusively to him. I even began to count how many times his name was said or references to him made in one evening broadcast of “Watan”. It sounded something like: “leader of the nation, respected president, our hero and Arkadag, his excellency Gurbanguly Berdymukhamedov visited, reviewed, got acquainted with, instructed, founded, presented, dismissed, initiated, showed concern for, won, became first in the races at…”, and so on and so forth. In fact, the only TV programme I saw which didn’t mention the president was the weather forecast. Fans of talk shows won’t find anything to their taste on any channel (except for “Miras”, which broadcasts a select few Russian entertainment programmes). 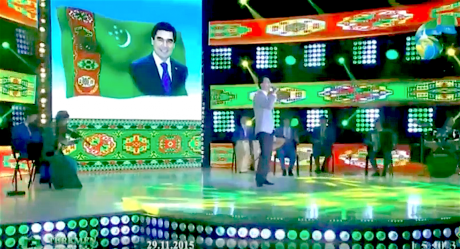 Here in Turkmenistan, you won’t see debates, heated arguments or a clash of opinions on TV. If more than two people are sitting in a studio, then as a rule, one will be talking and the others will listen. Looking at their faces, you’ll notice how tense they seem, how afraid they are of missing a word from the speaker. Their hands rest on their knees, they sit with their backs perfectly straight — their posture betrays the same sense of tension. According to him, the very first stage is the self-censorship of the television presenter or reporter who helps prepare the programme. The rest of the footage is given the once-over by the management: editors, programme directors, or even the TV channel’s director and his deputy. When the material is ready for broadcast, a final check is carried out by Turkmenistan’s state committee for the defence of state secrets in the broadcast media. If at any point they express reservations or have comments about the planned broadcast or the appearance and behaviour of presenters who feature in it, then everything goes back to the studio to be recorded again. The attentive viewer will notice that in official communications, the name and surname of officials are never mentioned, be it the deputy prime minister, a minister or any member of the government — only their title. If their name has to be mentioned, then it’ll only appear once, at the very start of the broadcast. Rashid Meredov, say, will then be referred to as the minister of foreign affairs, and Akja Nurberdiyeva as the chairwoman of the Mejlis, Turkmenistan’s parliament. As my friend from Yaşlyk TV explains, this is an order from on high, so that nobody eclipses Arkadag — one name and surname must be heard loud and clear, over and over again: Gurbanguly Berdymukhamedov. 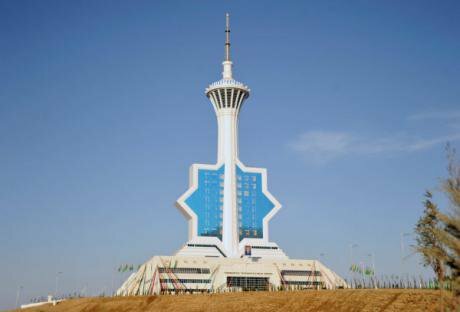 Celebrations in 2011 at the opening of the Turkmenistan TV tower in Ashgabat. At 211 metres, it is the tallest structure in the country. Photo (c): Amangeldy Nurmuradov / RIA Novosti. All rights reserved. What else is left to see on Turkmen TV? On 27 April, I tuned in to a “debate” of sorts, called “Il saglygy – ýurt baýlygy” (which translates as “a nation’s health is a country’s wealth”) on the “Altyn Asyr” (“Golden Age”) TV channel. I admit that I nearly turned off the TV several times, as I didn’t have the stamina to stomach a whole hour of such drivel. Both the show’s presenter and the invited speakers — a doctor, university lecturer, museum curator and personnel manager of the “Turkmen stones” mining enterprise, in case you wondered — spoke with clunky, prepared speeches, watered down with interminable facts and figures from their institutions. As one droned on, the other guests would sit motionless, as though they’d swallowed a broom-handle. Upon concluding, they never neglected to thank Arkadag for everything, repeatedly calling him a hero and wishing him good health and success in his difficult duties. Here I paraphrase a song by our fellow Turkmen, the politician and lyricist Dzhakhan Pollyeva. She wrote, “they beat us, but we fly” — and it’s a truer description than any of those who work in Turkmen television. 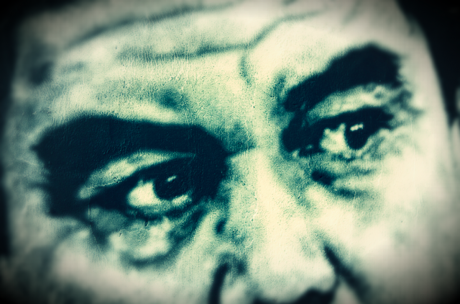 Over the past ten years of his presidency, Gurbanguly Berdymukhamedov has often made clear his dissatisfaction with the work of state media. And very often, the focus of his ire is television. Every time, whether it’s in commenting on the work of the deputy prime minister (whose remit involves culture and media), dismissing the head of the state committee for television, radio or cinema or poor unfortunate head of some TV channel, Berdymukhamedov stresses that the country’s television is of poor quality. He complains the work of Turkmenistan’s journalists is interminably dull, and reading, watching or listening to it is a chore. However, the president has never demanded that the media cease glorifying his deeds and his name at every available opportunity, nor even that they dial down the sycophancy. And that’s exactly how it goes: the more the president lambasts journalists, the more they praise him and his great achievements. If he dismisses TV directors, their replacements are even greater sycophants. There’s no way out of this vicious circle. As it turns out, there’s no need to have any specialist education or experience to work in television in Turkmenistan. You don’t need training to be a camera operator or sound editor — you don’t need to be particularly creative or gifted. It’s enough to just stick to the established guidelines and standards, keeping to the rigid rules of behaviour in the studio. You need to know how to behave in front of a camera or microphone, and what subjects are off limits. All this is done in such a predictable and primitive fashion that any villager with a fourth-grade education from some tiny desert settlement like Balla-Ishem or Yerbent can say exactly what will be covered tomorrow, what words will be used, what the guests will say, and how the broadcast will end. And they don’t need a crystal ball to tell you. An ode to president Berdymuhamedov, “Arkadag”, by Parahat Amandurdiyev, on the Türkmen Owazy music channel. Image still via Youtube / Türkmen Owazy. Some rights reserved. I tried to watch a music channel, naively hoping to listen to hear something a little different — maybe some of the destan performers [ed. traditional lyric bards and musicians] who are so close to Turkmens’ hearts. Perhaps there’d be songs by Sahy Dzhepbarov, Mahtumkuli Garlyev, Odeniyaz Nobatov, Akmuhammed Saparov or some of the many highly talented and not politically provocative singers. Alas, in Berdymuhamedov’s so-called “era of might and happiness“ the only songs on the music channel “Türkmen Owazy” were much the same as they were during Niyazov’s “golden age of the Turkmen people”. As it happens, Berdymukhamedov has even outdone his predecessor in the number of songs written about him. Of the seven TV channels I watched, only “Sport” TV mentioned the name of Turkmenistan’s president infrequently. But this “oversight” has been corrected, and Berdymukhamedov will now be mentioned more than all the athletes, sportsmen and coaches combined — for last month, the president dismissed the channel’s director Yuldashgeldi Khanaliyev from his post (Khanaliyev had “not coped with the duties assigned to him.”) The task of correcting these past errors and bringing the channel up to the standard of others now falls to new director Rasul Babayev. Here’s the remote — happy viewing! *Atadzhan Nepesov is a journalist in exile, originally from Turkmenistan. He writes here under a pseudonym.